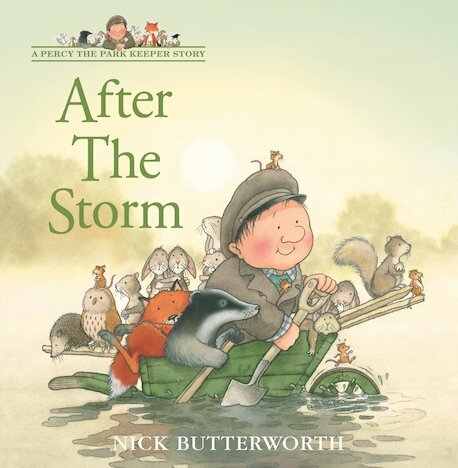 When a wild storm blows down a great oak tree, can Percy come to the rescue? Animals, storms, vivid colours: a classic celebration of nature in autumn. One dark night a great storm rages through Percy’s beloved park, as the animals cower for shelter. The next morning, Percy finds that the park’s ancient oak tree has blown down. What will the animals who lived in it do? Luckily, with his trusty wheelbarrow and his imagination, Percy finds a clever way to help. And as he finds new homes for the animals, there’s also a fold-out surprise for YOU! I remember reading these books so got it out to read to my son who loves looking at the pictures while i read.